My project as a postgraduate research intern at the Barber Institute of Fine Arts centred on the lives of Sir Henry and Lady Barber, founders of the Institute. 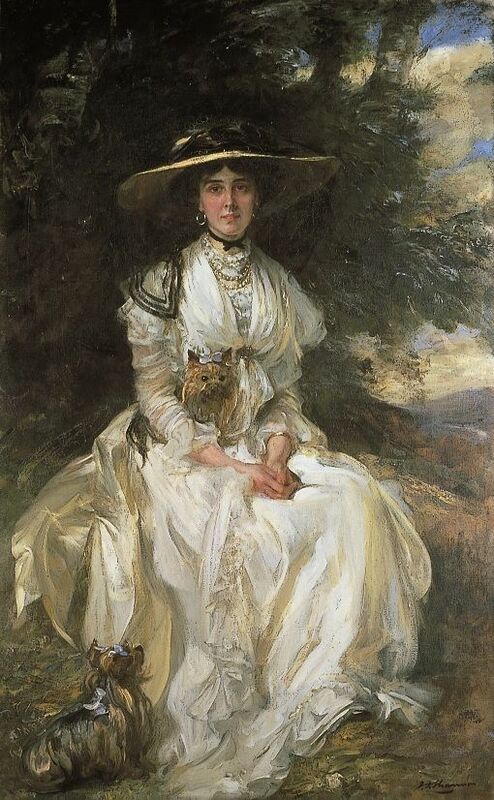 They amassed a personal art collection of objets d’art, textiles, furniture, and a few paintings, perhaps the most interesting being the commissioned portraits of Lady Barber. The Edwardian society portraitist James Jebusa Shannon painted two in 1908 and 1912, and the relatively unknown Belgian artist Nestor Cambier executed over twenty-five between 1914 and 1923. The aim of this project was to learn more about the Barbers’ relationship with the artists (especially Cambier), to consider the psychology behind the creation of the portraits, and to dig deeper into the biographical details, collecting activities, and social and home life of the Barbers. The intended outcome was to write a chapter about the portraits and the Barbers’ life in the country as part of a publication celebrating the Institute’s 80th anniversary in December 2012. The information from my research would also be used in an exhibition of the portraits to coincide with the 80th anniversary. Happily both of these are proceeding. Additionally, in February 2012 I gave a public lecture on my research findings and conducted a behind the scenes tour of the portraits for Barber Institute volunteers. These activities were mainly fuelled by a discovery of approximately 500 documents on Nestor Cambier, housed at the Archives de l’Art Contemporain en Belgique (Contemporary Art Archives of Belgium), as well as an auction of c.390 of his sketches and drawings by The Romantic Agony book house in Brussels. The UBP bursary made it possible for me to travel to Belgium and study these materials, which had a great impact on my research results. Work also took place at the National Art Library, the Witt and Conway Libraries, and the Heinz Archives and Library. The remaining funds were for a day trip to the Barbers’ country home, Culham Court.